Hire Our Heroes makes impact daily. Over the past five years, HOH has connected over 100,000 veterans with the training resources to empower and enable them to have meaningful careers and have a better quality of life for them and their families. Employment is one of the top priorities, after health, during a veteran’s transition. Over 1 Million veterans are unemployed with more exiting the military every day. We need to support them just as they have supported us and our country’s freedom. After active duty, many veterans have no transferable skills to rely upon to gain a meaningful career to support themselves or their family. Some end up underemployed due to taking a job far below their ability level. This lack of purpose and inability to provide can be a significant contributor to mental health issues and family instability. We need to be ready, willing, and able to welcome transitioning veterans back into civilian workforces. HOH will connect transitioning military, veterans, and military spouses with the tools necessary to gain, and maintain, meaningful employment. We will accomplish this by offering training, education, and mentoring resources relevant in today’s competitive business world. We will enlist veterans and volunteers out of Corporate America, networking events, and group training across North America. HOH achieved the GuideStar 2018 Platinum Seal of Transparency. HOH is a Great Non-profits Top-Rated (5 Star) charity. HOH is a certified Combined Federal Campaign (CFC) recipient. We’re a non-profit organization operated and founded by veterans for veterans. We want to capture each veteran one year preceding their discharge. This way we can assist them in identifying what they need to accomplish to find the most success after leaving the military. Hoh also works with those veterans who have already completed their military service and want to either move into a new career field or advance in their current one. Finally, HOH resources are also available to military spouses (wherever possible) wishing to find a career which allows them to maintain a high level of marketability and success, regardless of where they are located. For employers, we offer training resources to educate hiring managers, supervisors, and HR professionals on how to acquire and retain highly skilled veterans. We offer industry best practices and theory to meet current and future hiring and retention needs.  HOH stands ready to assist veterans looking for a new career or employers eager to hire skilled professionals!